Over the last week we’ve added a few more Raspberry Pi related articles. 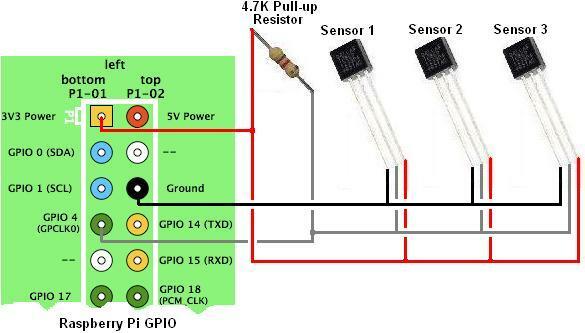 For those of you interested in using the Raspberry Pi to make yourself a solar thermal controller or other monitoring or control system, then our article Connect Multiple Temperature Sensors with Raspberry Pi will help you to get readings from multiple DS18B20 digital temperature sensors via the GPIO on Raspberry Pi. If you are using your Raspberry Pi to play music and video through your television, then you will rapidly need a lot more media storage than you probably have on your operating system SD card. The cheapest and easiest way around this is to use USB flash drives. Our new article Mount USB Memory Stick on Raspberry Pi will take you through the steps required do this.